Jon McGlocklin played in the NBA from 1965-1976, but he is best known for his time playing for the Milwaukee Bucks from 1968-1976. During that time he played in an All-Star Game and helped the Bucks win an NBA Championship. McGlocklin retired with 9,169 points, 1,928 rebounds, and 2,280 assists. 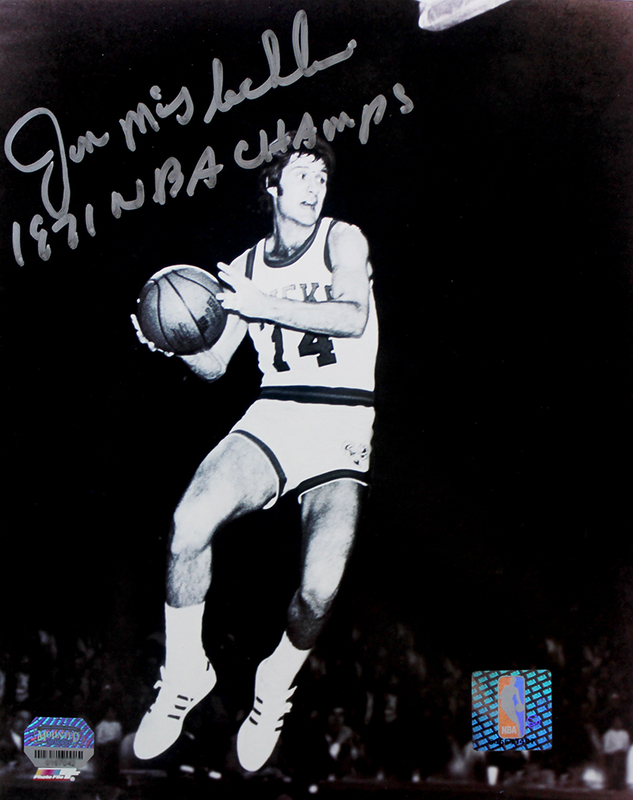 This Milwaukee Bucks 8x10 photo has been hand signed and inscribed "1971 NBA Champs" by Jon McGlocklin. Each autograph is guaranteed authentic, and includes an individually numbered TRISTAR Authentic hologram.